Description: Raccoons are easily identified by their bandit-like facemask and ringed tail. Their stout body has a coat of grizzled grey, course guard hairs and soft, dense, darker under-hair. Adult males can weigh up to 25kg (55lbs). Females are slightly smaller but identical in appearance. 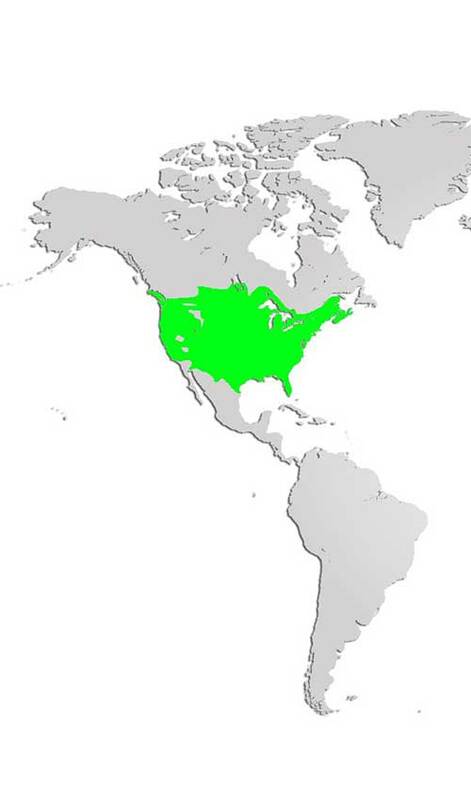 Distribution and Habitat: One of the animals most adapted to urban living, raccoons are abundant across North America. They are able to survive in nearly any sub-arctic or non-desert land environment, requiring only shelter and a food/water source. Diet: Omnivorous, raccoons eat corn, insects, vegetables, fruits, berries, seeds, eggs, birds, small animals, amphibians, crustaceans, and carrion. They will also eat human garbage and are very adept at opening door latches and containers, readily entering barns, chicken coops and garden sheds in search of food. Life Cycle: Solitary and unfriendly for most of the rest of the year, raccoons have a breeding season from late January to early March. The young are usually born in the middle of April, in litters of 3 to 6. During the time spent with their mother, young raccoons are taught to forage and climb. They become independent by the time they are 1 year old. Winter dens, usually in rockpiles, woodpiles or underground, typically contain a number of adults and young, grouping together to conserve body heat. Raccoons do not hibernate, but like many other animals existing in cold climates, they will enter periods of deep sleep, interspersed with periods of wakefulness that include venturing outside the den to forage for food. Vicious when provoked, raccoons have few predators as adults, but the young are preyed upon by wolves, coyotes, bobcats, lynx, cougars and sometimes owls or eagles. Adaptations: Raccoons have human-like hands/paws (minus an opposable thumb), capable of complex tasks with amazing dexterity. They have excellent climbing skills and balance, readily sleeping in trees without falling. Did you know? Raccoons have many different vocalizations. Biologists have determined that they can make over 50 different sounds. 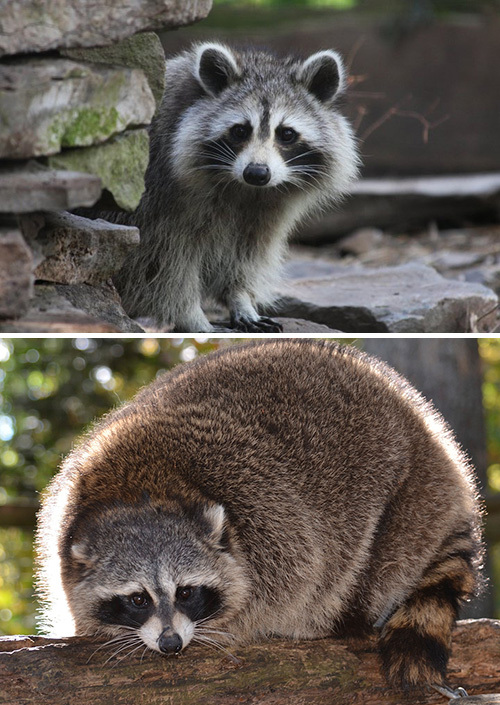 Raccoons are vectors for a number of diseases that affect domestic pets and humans, including rabies, distemper and raccoon roundworm.